Size: approx. 15 mm. Photo: 05/01/12, 10 pm. 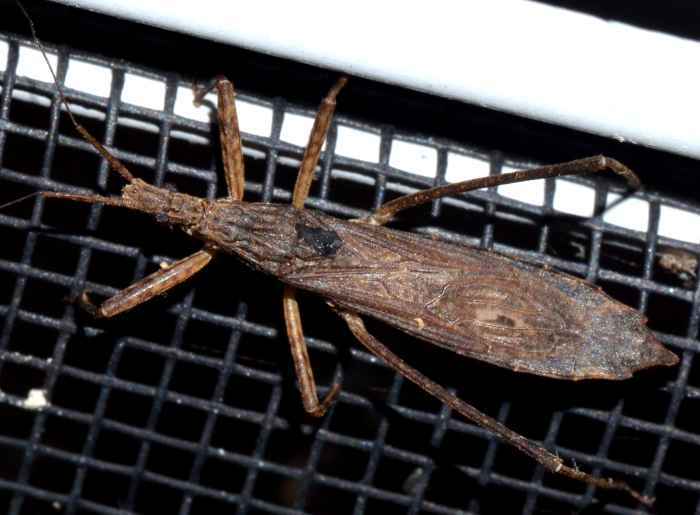 This assassin bug is Pygolampis pectoralis. It can be distinguished from the only other Pygolampis species in North America by the length of the first antennal segment. In P. pectoralis it is about twice as long (rather than approx. equally long) as the anteocular area (head area anterior to the eyes).